Millennials and Gen Xers are resistant to the influx of furniture, kitchenware, and general stuff that comes with their parents' downsizing. What about antiques? Unfortunately, the antique market has dropped off dramatically for all the same reasons. The younger generation just does not have the interest that there was some 15 to 20 years ago with antiques. So what is hot? 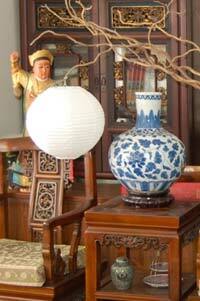 Its furniture and items that are more contemporary in style and age. Items that are 3 – 7 years old and in great condition still have a market. This is typically called transitional furniture. We always ask people, how much would you pay for a 20 year old couch? If the answer is, I would not...or maybe $20...well then you really have your answer...don't you? It's not all that surprising when you think about it. For one thing, younger generations might not have the space to store table service for 12. The average age of homeownership has been pushed back, and the number of millennials who own homes is at a record low. Experts say it's partly economic — 20- and 30-somethings buckling under student-loan debt and having trouble securing work right out of school don't have the disposable income for many of the traditional life markers, like buying a home or getting married — but these grown kids may also have different value systems. On top of this 40 and 50-year-old parents are struggling with trying to figure out how to pay for their kids’ college and are nervous with today’s ever changing job market. Tiny houses. Tiny houses are less costly and have extremely limited storage. But that's not deterring the people flocking to more-limited living space.